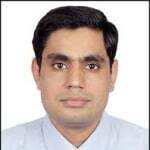 Dr. Rajesh Kumar Yadav is a renowned Dentist in Dlf phase 3,Sector-24, Gurgaon. He has been a practicing Dentist for 12 years. He has completed MDS - Oral & Maxillofacial Surgery. He is currently associated with center for smile in Sector-24, Gurgaon. You can book an instant appointment online with Dr. Rajesh Kumar Yadav on Lybrate.com. Lybrate.com has a number of highly qualified Dentists in India. You will find Dentists with more than 44 years of experience on Lybrate.com. You can find Dentists online in Gurgaon and from across India. View the profile of medical specialists and their reviews from other patients to make an informed decision. I visited Dr Rajesh Yadav for Root canal treatment. It was a totally painless procedure. He was a thoroughly professional n competent .. I am very happy with the treatment and I recommend Center for Smile dental clinic to all.. I have visited Center For Smile with severe wisdom tooth pain and the doctor was so kind made my tooth removal very smoothly & with no bleeding or swelling. I have been regularly visiting since past 5 years.got many root canals and capping done.so far experience has been good. Aap ek oral surgeon ko dikhaeye. Aur kuch b hard chiz ni khaeye, kapdhe ko garqm pani mein dip krke se sikaayi kriye. Hi, After having implanted teeth. Which are fixed with the help of screw, Is it possible to go for mir test? Implants are made of titanium. In order for a material to interact with a magnetic field, the material needs to have a property known as ferromagnetism. Titanium is not ferromagnetic so should not interact with magnetic fields. So implants are safe for mri test. Having sensation in upper side teeth while having hot or cold or sweet stuff. How to get rid of this? Sensitivity could be due to cavities or gum disease.Senquel mouth wash may privide u temporary relief.